Head over to get Valentines Day Love T shirts for Youth To Adult priced at ONLY $13.99 (Retail $28.99)! Valentine's Day! So In love with our Tees! 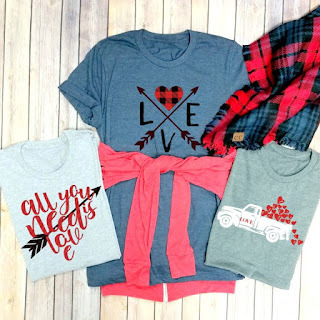 What a perfect layering tee to go under any flannel, sweater, cardigan or even alone! Just pair these with your favorite skinny jeans, leggings, even a skirt and you've got a perfect outfit!